The California state Senate is currently considering a bill that would devolve many of the state’s responsibilities to a state-sponsored charity. The Republican tax plan that passed late last year abolished many deductions, including one that allowed taxpayers to deduct state and local income taxes from their taxable income. The result will be that residents of high-tax states will begin to feel the financial burden of their state’s taxes. But while state and local income taxes are no longer deductible, charitable contributions are. As as a result, the California State Senate is currently considering SB 227, the Protect California Taxpayers Act, which would “allow taxpayers to make charitable donation to the California Excellence Fund [a state-run charity], and in return receive a dollar-for-dollar tax credit on the full amount of their contribution,” according to the office of president pro tempore and co-author of the bill, state Senator Kevin de Leon. In effect, the bill would disguise state taxes as a charitable contribution, which its proponents contend would make them tax deductible. The charity would perform public services normally performed by the state of California. While the donations to the California Excellence Fund would technically be voluntary, California residents would be financially penalized for not donating. The bill’s proponents assert that it is similar to California’s College Access Tax Credits, which gave taxpayers a partial credit on their state taxes, and a charitable deduction on their federal taxes, in exchange for contributions to university grant programs The IRS has yet to issue a formal decision on whether it intends to treat these contributions as charitable deductions for assessing federal tax liability. While several memoranda from the IRS chief counsel have been issued allowing similar state programs in the past, these memoranda are merely directives to local IRS offices, are not legally binding, and cannot be cited as legal precedent. Overall, it is unclear whether even this program was permitted under federal law. The IRS does not typically allow taxpayers to receive reimbursement for charitable contributions, which is exactly what the bill proposes. 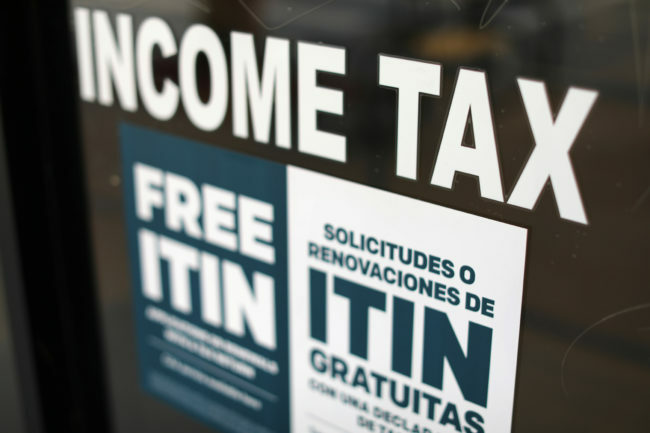 If the provisions of the bill were to come into effect, residents of states like California would effectively circumvent the elimination of the state and local income tax deductions entirely.